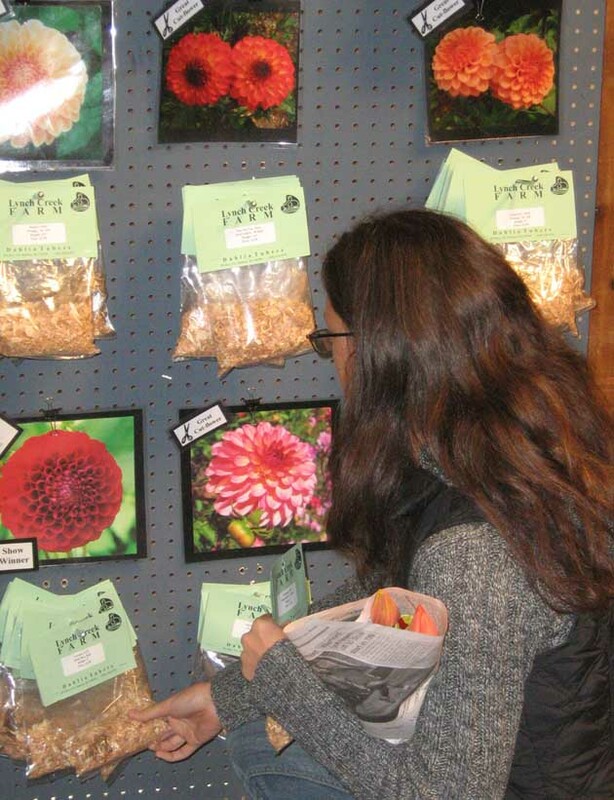 Each class of dahlias incorporates standards by which a dahlia is judged at exhibitions and competitive shows. 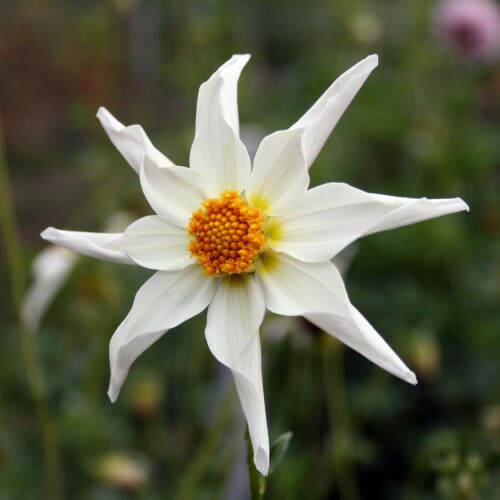 In earlier blogs we discussed how some classes of dahlia flowers, such as the cactus dahlias introduced in the late 19th Century, have been so popular that separate classifications were established. 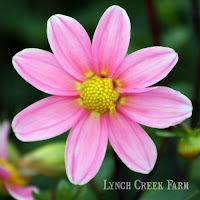 But beyond such exuberance in a single class, there lies a conundrum for growers and classifiers alike: what happens when a hybridizer comes up with a beautiful dahlia that doesn't fit in any classification? 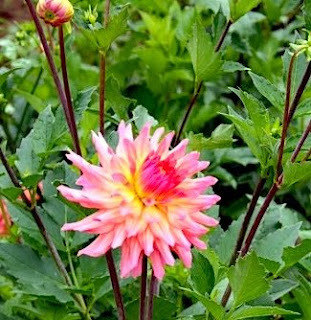 The American Dahlia Society recognized the dilemma in 2002, establishing two new classes: the novelty fully double dahlia and the novelty open dahlia. 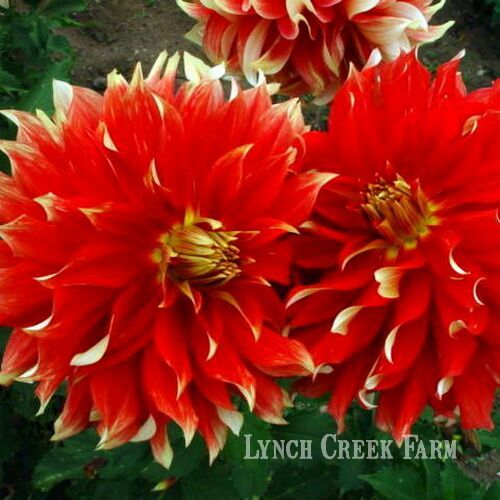 The novelty fully double dahlia has closed centers. Its 34 varieties all exhibit characteristics that do not fit the requirements of any other classification. Among the most stunning is Akita, a brilliant red dahlia B-sized dahlia with incurved ray florets like the petals of a chrysanthemum. The Lynch Creek Farm gang calls Akita "one of the best, if not THE best, novelty type available." 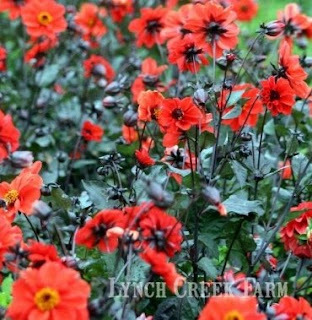 Akita dahlia tubers, according to most sources, are hard to come by, but when we checked last, some were still available at Lynch Creek. Another nifty novelty fully double dahlia is Optic Illusion, an Oregon grower's introduction. 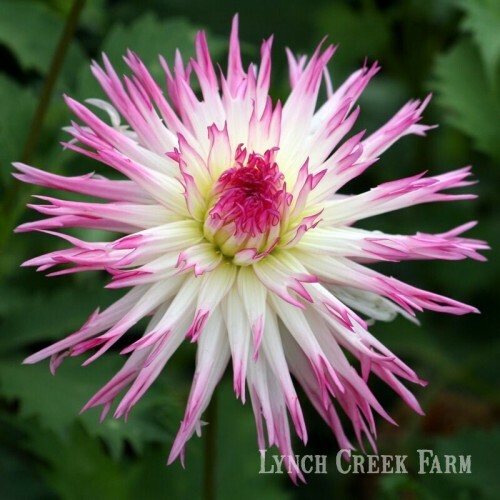 Optic Illusion has petaloids almost like those of collarette dahlias but a fully double form, and a stunning combination of rosy purple and white in its 4-inch flowers on sturdy 3.5-foot plants. Novelty open dahlias are similar to other singles but have some characteristics that set them apart from the earlier recognized classes. An example is Jacs Kelli, which combines the characteristics of a collarette with the inwardly rolled florets of an orchid cactus. Ever since dahlias were introduced to Europe from the New World at the end of the 18th Century, adventurous dahlia growers have been experimenting and creating new varieties, now numbered in the thousands. In 1921, the Royal Horticultural Society in England established "The Official Classification of Dahlias." Ever since, it has recorded and classified dahlias according to size, color and type. 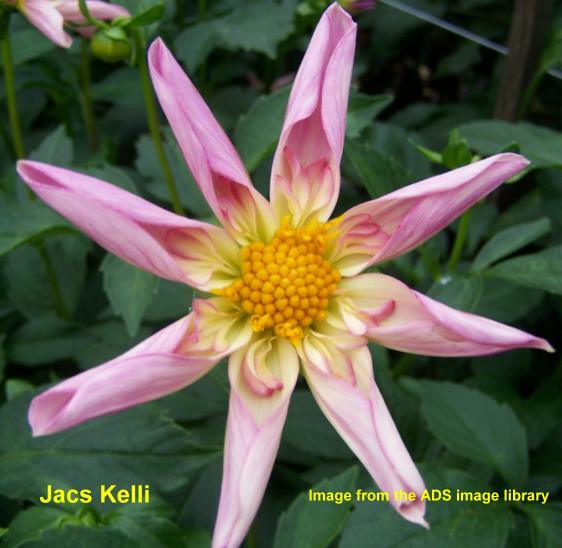 The American Dahlia Society, founded in 1915, accepted the RHS classification system ten years later. In wedding bouquets or flower arrangements, in the formal garden or the informal border, waterlily dahlias are simply gorgous. 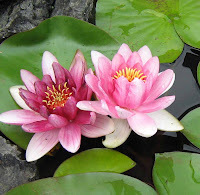 Waterlily dahlia tubers are easy to grow, and the results are satisfying: elegant, symmetrical flowers in a luscious range of colors arrive in profusion in the late summer. 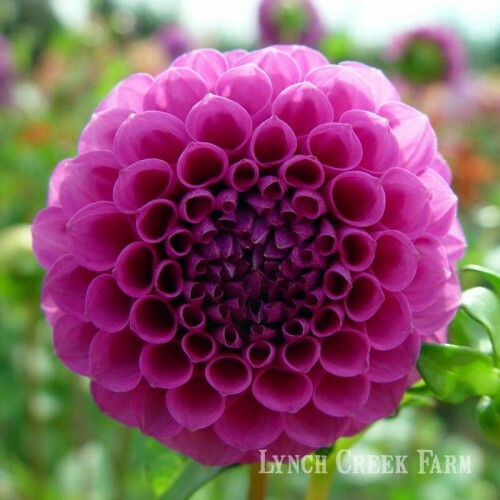 Lynch Creek Farm customers buy dahlia bulbs of the waterlily type enthusiastically, and look for the blooms in summer bouquets at the Olympia Farmers Market. 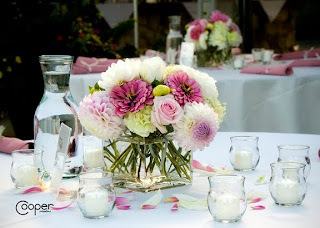 The farm sells lots of waterlily dahlias for wedding flowers as well. 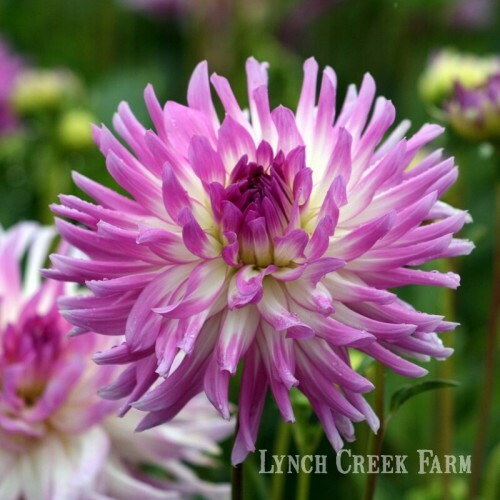 Waterlily dahlias resulted from some early crosses when the dahlia became popular in the first decades of the 1800s. 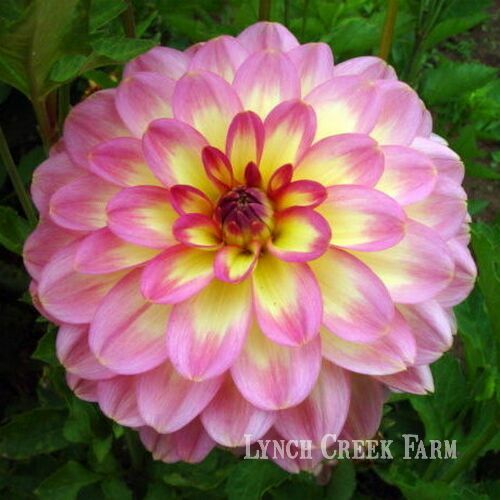 One of the earliest named dahlia forms, the waterlily dahlia was recognized by continental growers in 1826 and classified in 1828 as "double camellia-flowered" formal decorative type, described as having six-inch blooms. However, the type wasn't received with much favor and waterlily dahlias were rarely grown outside of Germany until after 1880. 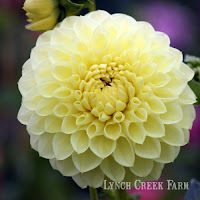 In 1890, the first similar form of dahlia was discovered in the U.S., in a rural New Jersey garden. L. K. Peacock introduced in as a Nymphaea dahlia (Nymphaea is the scientific name of water lilies). In 1921, the Royal Horticultural Society's first Official Classification of Dahlias listed it as "camellia-flowered," describing it as fully double with petal edges arranged regularly. Sometime later, the RHS and the American Dahlia Society both discontinued the "camellia-flowered" classification, and the dahlias so classified were merely considered formal decorative types until 1964, when the ADS listed "water lily" dahlias as a subtype of formal decoratives. In 1977, the form received recognition as a class by itself. The ADS described them as "fully double flowers characterized by large, broad and rather sparse ray florets which are straight or slightly incurved, giving the flower a flat appearance, the depth being no more than half the diameter of the flower head." 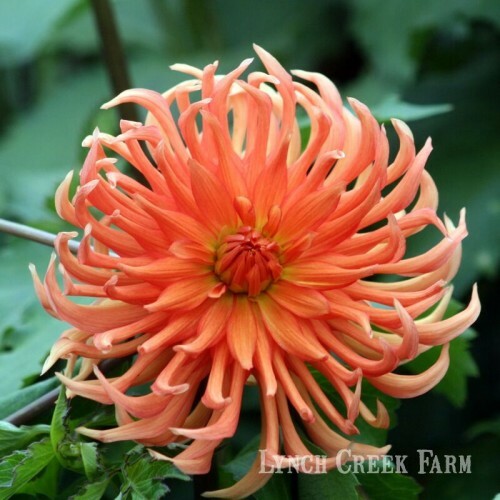 The waterlily dahlia flower is known for its luminous look, perhaps enhanced by the fact that the blossom is flatter than most double dahlias, so more light is caught by the cupped, translucent petals. It is represented in all 14 of the dahlia color classes. A nice example is Miss Molly, a 4-inch mauve-pink and yellow bicolor on a four-foot plant. Cherry Drop, a sweet little bright-red dahlia on a 3.5-foot plant, produces "a ton of blooms," according to the gang at Lynch Creek Farm. A bit larger is Pink Gingham, a bright pink bicolor with white tips on the florets. It grows to 4.5 feet and its blossoms are 4-6 inches across. "The waterlily's popularity has waxed and waned over the years, as the recurved petals of the double dahlia become more, or less, attractive to growers than the flat, saucer-shaped waterlily petals," notes dahlia specialist Bill McClaren. 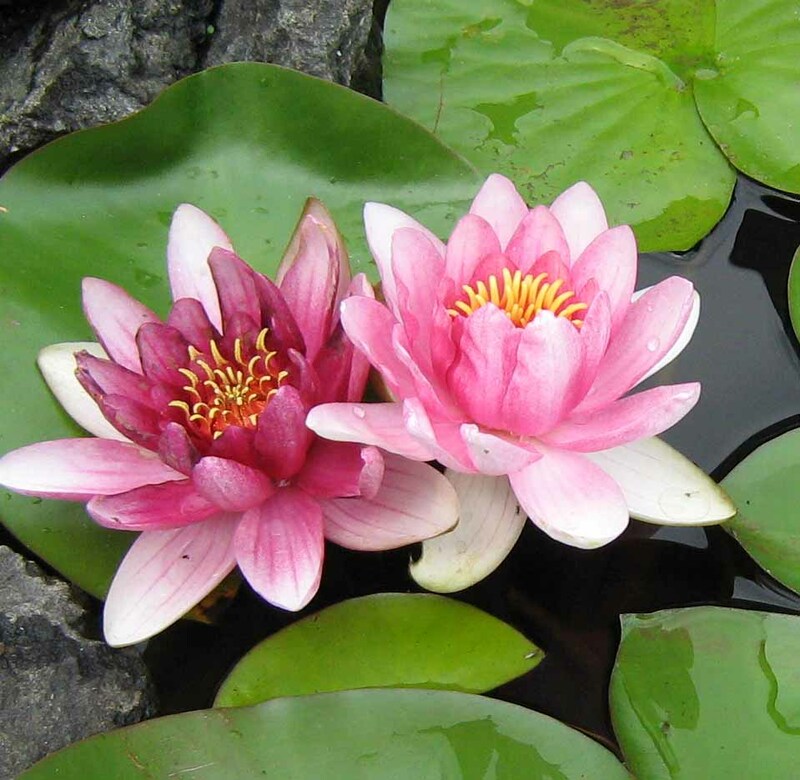 "Recently the waterlily has become tremendously popular and much in demand as a cut flower for floral designs." 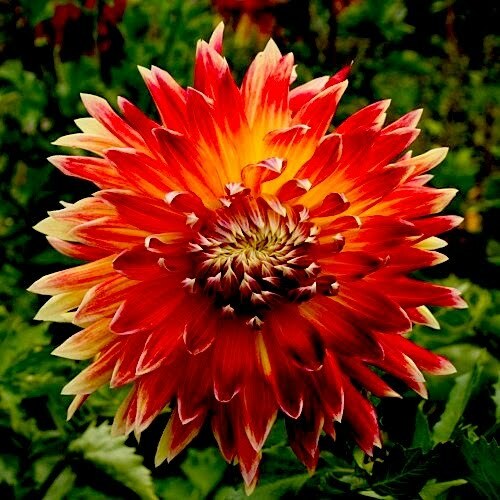 Cactus dahlias, found in sizes ranging from the so-called dinner-plate dahlias to miniatures, come in three variations, each now classified by the American Dahlia Society as a separate type. Straight, incurved and semi-cactus forms are identified by the ADS. All three share the characteristic of having rolled or revolute ray florets, which give the look of rays radiating from a central point. The ray florets of Camano Ariel, below, illustrate a typical semi-cactus configuration, with flat bases rolling toward the back at about the halfway point. Most sources indicate that the cactus dahlia is a direct descendant of Dahlia Juarezii, which was introduced into European gardens by way of Holland in 1872. Over the years, some botanists have contended that it is one of the many variations springing from Dahlia variabilis, the Mexican native which first flowered in the Spanish Royal Gardens in Madrid in 1789. Whichever is the case (and it may well have both species in its family tree), the cactus dahlia appeared on the English garden scene in the late 19th Century and was all the rage there and in the United States by the first decade of the 20th Century, with many new varieties registered with the Royal Horticultural Society each year (the American Dahlia Society was founded in 1915). Semi-cactus dahlia flowers are the most casual-appearing of the cactus dahlias. Their ray florets, which the casual observer would think were petals, are flat at the base but the edges roll toward one another for at least half their length, and are fully revolute (the edges touching or passing each other) for a quarter of their length. The depth of the bloom is ideally three-quarters of its diameter. 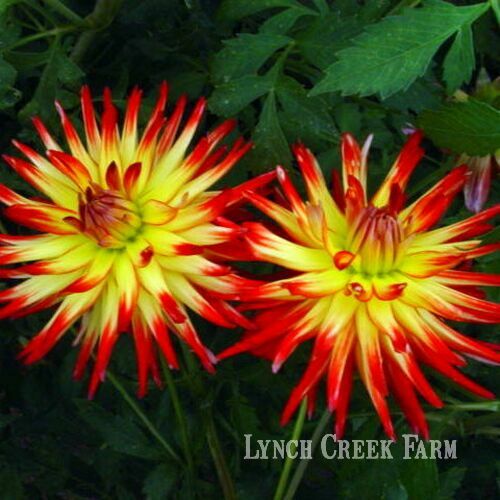 One of the favorite semi-cactus types at Lynch Creek Farm is Pari Taha Sunrise (at left), a small flame blend that's a huge seller among the gardeners who buy dahlia tubers as well as a favorite of the late-summer bouquet-buyers. Straight cactus flowers bear ray florets with a narrow appearance. Not only are they narrower at the base, but they extend straight outward, reflexing toward the stem so that they radiate like fireworks. The florets are uniform in length and are revolute, or rolled, for most of their length, touching or overlapping for at least half of their length. Good examples of the straight dahlia are White Kerkrade, at right, and Bold Accent, at top of this post. White Kerkrade, named for its city of origin in the Netherlands, is a miniature with just the faintest hint of pink in the center. Bold Accent is a six-to-eight-incher with luscious variations on lavender brush-stroked on the tips of its florets. Incurved cactus dahlias are among the most graceful of the species. Their florets, of uniform length, curve uniformly toward the face of the flower. Because of the incurved orientation of the ray florets, they are less deep than the other cactus types. Their depth is typically half of their diameter. 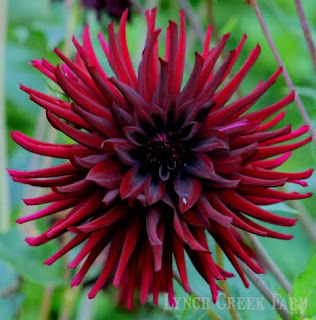 A delightful dahlia in the garden or for cutting, Bed Head is a variation on the incurved type. Bed Head's incurved florets are unpredictably oriented, hence the name. With its four-to-six-inch blossoms, it's a great cutting dahlia, but it's beautiful in the garden as well, with lacy foliage and massive form (it grows five to six feet high). 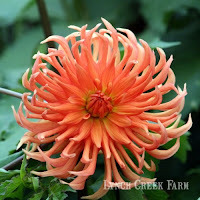 Cactus dahlias are perfect choices for Pacific Northwest dahlia growers. The revolute florets virtually shed water, so the occasional August or September rain doesn't dampen the style of these great dahlia flowers. 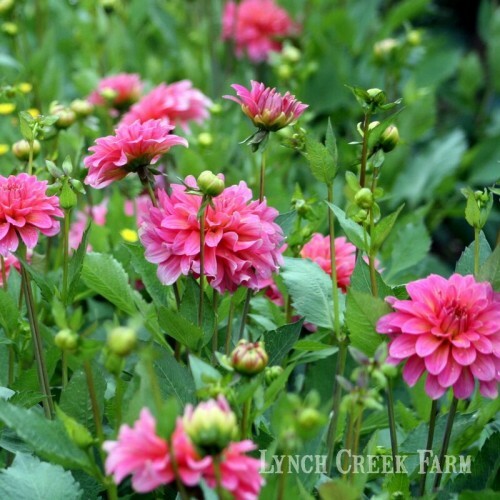 They have a good, hardy growing style that works well in any climate. 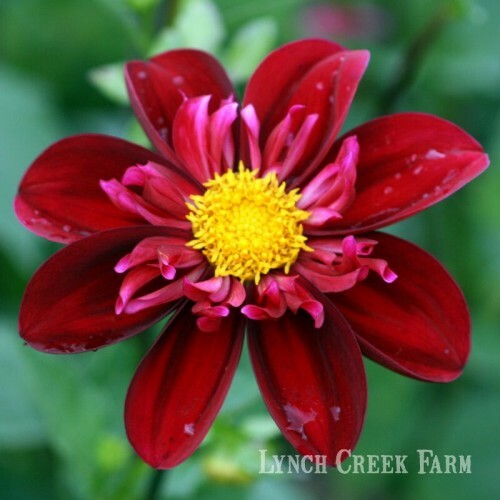 It's not too late in most climates to start dahlia tubers; choose your dahlia color and size and get growing! In 1901, Charles George Wyatt discussed the new cactus dahlia at the Royal Horticultural Society in England, noting that it seemed scarcely possible that within the past 20 years this entirely new form of the dahlia, which had been a favorite with gardeners for 60 or 70 years, "could be so transformed into the totally different character represented by a really good Cactus Dahlia." Wyatt went on to claim that all the best of the new cactus dahlias were hybridized by the British, "foreign introductions as yet falling very far short of the high standard necessary for approval." 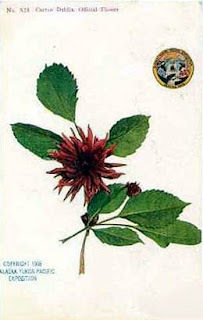 The cactus dahlia was at the time widely believed to have developed from the Dahlia Juarezii, a dahlia introduced into Europe from Mexico in the 1870s, but Wyatt maintained that the cactus dahlia was likely the offspring of the aptly named Dahlia variabilis, which was introduced to Europe almost a century earlier. Whatever the case, the cactus dahlia has rolled florets that radiate from the center of the blossom in a uniform arrangement; it has been described variously as resembling the cactus, fireworks, and sea urchins. 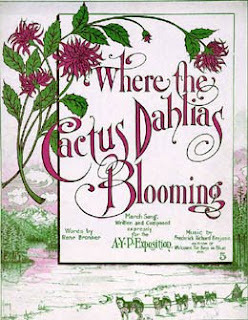 On Cactus Dahlia Day at the exposition, August 28, 1909, the Washington State Building was decorated with thousands of cactus dahlias "in almost every conceivable color," boasted a daily AYP publication. 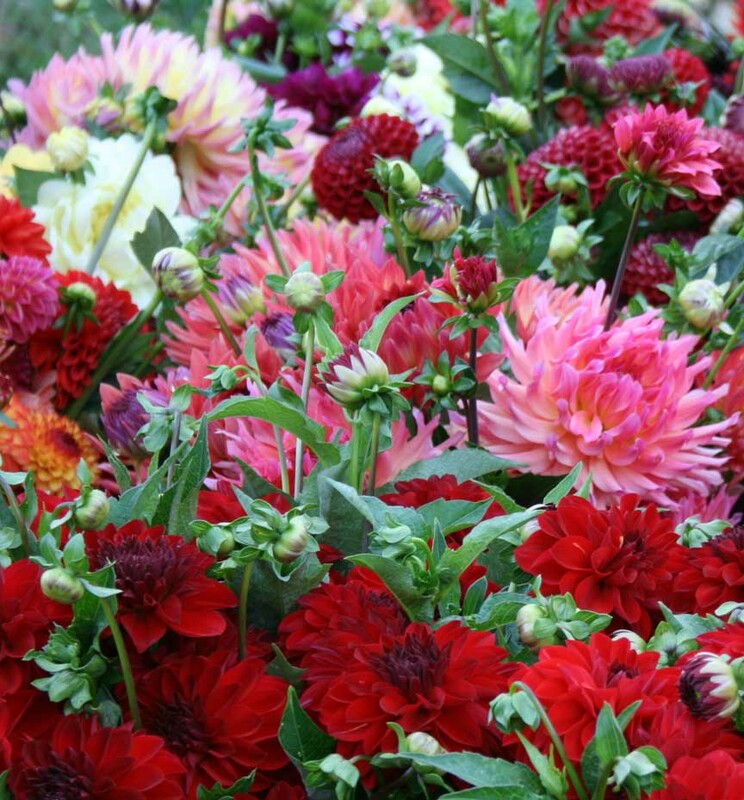 A committee headed by UW professor Edmund Meany chose the dahlia as the official flower for the event because of its novelty and because dahlias grow well and have a long blooming season in the Northwest. Organizers hoped that the cactus dahlia would become to Seattle what the rose was to Portland, the anchor for an annual festival. While that didn't happen, the cactus dahlia certainly gained a foothold in the Pacific Northwest garden scene, with hundreds of people buying and planting dahlias in succeeding decades. In the year of nineteen-nine." Throughout the building, tables held vases of dahlias offered by more than 35 exhibitors who brought flowers for judging. Professor Meany spoke at the closing of the program. "Proclaim, ye heralds of the brilliant floral train. Proclaim this day the Cactus Dahlia's reign." It was a relatively short reign. The Seattle City Council declined making the cactus dahlia the city's official flower and didn't establish the annual festival Meany had hoped for. But that year, the Washington Women's Cook Book, published by the Washington Equal Suffrage Association, specified that cactus dahlias be used to decorate the dining table for a "Washington State Dinner." It's helpful to know some of the lingo when you're cruising dahlia catalogues and displays, be they online or at a market or in book form. 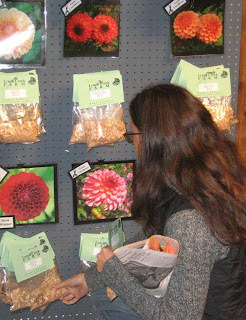 Size designation is one way dahlia flowers (and, of course, dahlia tubers for sale) are catalogued. We'll start with the larger designations. 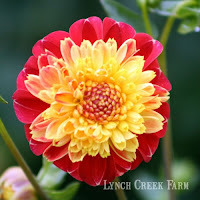 These are the show-stopper dahlia flowers, the ones that measure ten inches or more across, and hence the common use of the name dinner plate dahlia. A good example is Bodacious, an informal decorative variety with yellow tips on its hot-red florets. (Dahlia flowers are composites, and the blooms are made up of florets, rather than petals.) 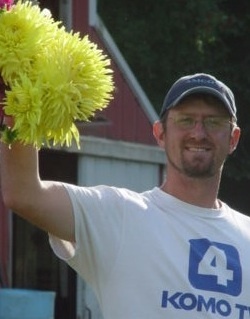 Bodacious always wows visitors to the farm, and each flower is a bouquet in itself. 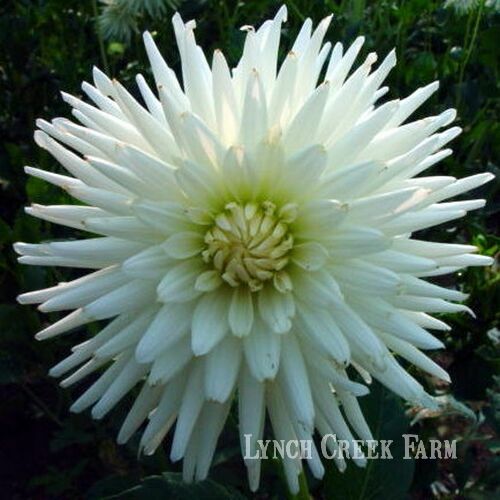 Before 1975, the American Dahlia Society grouped all dahlias over 8 inches across as A size, but so many gigantic hybrids were introduced that the new AA designation was introduced. Giant dahlias provide brilliant displays in the garden, wow judges and audiences at shows, and make dramatic statements in floral decorations. 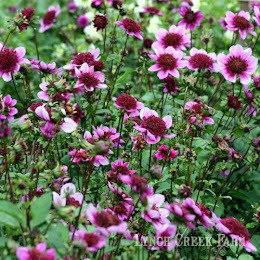 They require staking in the border or row as the huge blossoms are otherwise susceptible to rain and wind. 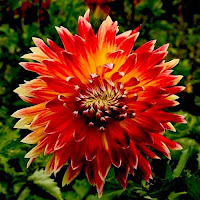 Dahlia flower types included in this size category are formal and informal decorative, cactus, semi-cactus, incurved cactus and laciniated. 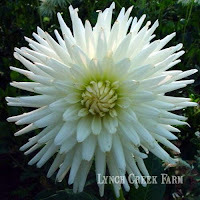 The largest of these dahlia flowers also come close to ranking as dinner-plate size. 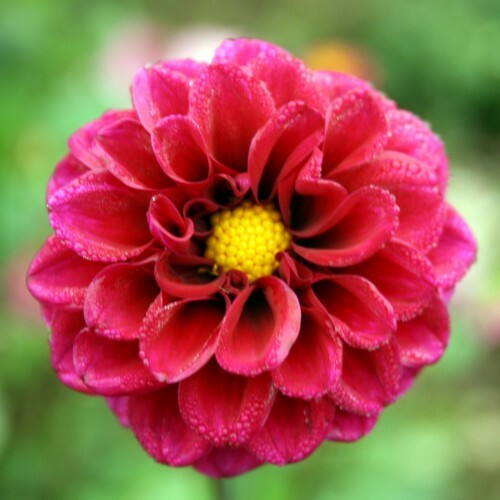 A-size dahlias have blooms that measure 8-10 inches, or 20-25 centimeters. They include the formal and informal decoratives, cactus types and laciniated versions of those dahlias. A lovely example is Snowbound, a white formal decorative dahlia with beautiful form and stustance. Snowbound is elegant in wedding arrangements and is a consistent success in exhibitions. Dahlias in the A group, like those in the AA group, are inclined to need staking to ensure that they withstand summer storms, but any extra effort involved to grow these dahlias reaps great rewards. Some growers group B size dahlias with their large dahlias, which makes sense: B dahlias range in size from 6 to 8 inches, or 15-20 centimeters. As with the A category, B size once included all dahlias from 4 to 8 inches, but the category was divided into B and BB with the introduction of many new dahlias from the mid-20th century onward. Part of the rush of newcomers involved a host of new cactus and laciniated dahlias, the latter with split florets. 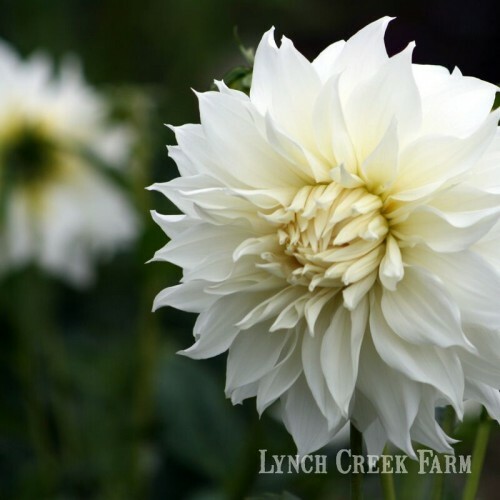 The B class has the largest number of laciniated dahlias, with more than 100 of this popular variety listed in the class. 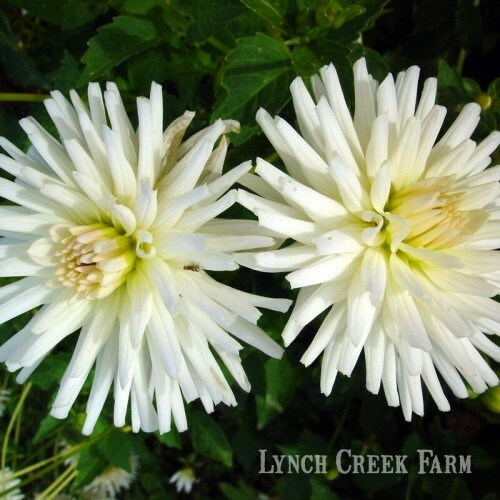 A favorite among Lynch Creek dahlias is the elegant Marlene Joy, a creamy white laciniated dahlia whose slender rolled florets are slightly forked and tipped with brushstrokes of rich color ranging from wine to pink to lavender. It grows to 4 1/2 feet tall and has good form and substance. 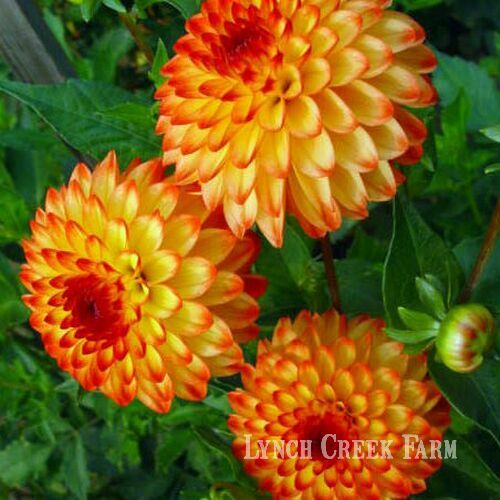 As with the other dahlia size groups, BB dahlias include formal and informal decorative, cactus type and laciniated dahlias measuring 4 to 6 inches or 10-15 centimeters across. This is the largest of the dahlia size groups; the American Dahlia Society in 2008 listed 2118 dahlias registered in the BB category. 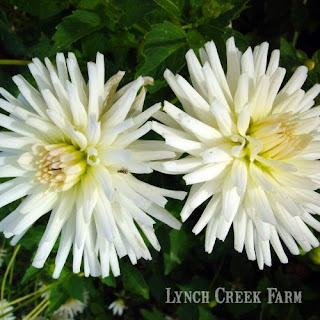 One of the Lynch Creek Farm favorites is Just Peachy, a luscious blend of yellow, peach and orange in semi-cactus form. 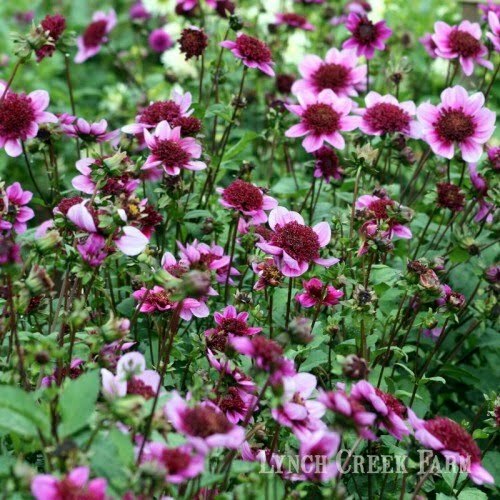 It lasts well as a cut flower and has strong stems, which suit it well for decorating. Introduced in 1986, it has been a consistent show winner ever since. BB-size dahlias are large enough to make a strong visual impact but small enough that they lend themselves well to flower arranging. We sidestep our procession of dahlia types and sizes for this news bulletin: For the first time in what seems ages, the sun has shone its face for two consecutive days. It hasn't rained, snowed, or hailed yet today. 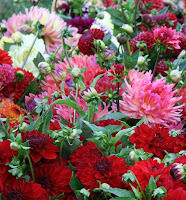 And the Olympia Farmers Market opened today, with Lynch Creek Farms' booth brimming with dahlia tubers. It's definitely spring, even if the breeze is still a bit shivery. Just knowing the market is open makes a day feel brighter. 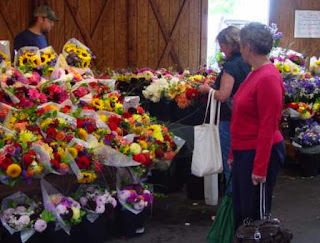 The Olympia Farmers Market is so filled with optimism: vegetable starts, pots of perennials, cut flowers, fresh and smoked meats, seafood and shellfish, fresh eggs and local cheeses, baked goods, crafts, paper goods, birdhouses, jewelry, herbs, condiments: the list goes on and on. Nearly 20 farms, many of them organic, offer seasonal produce over the course of the market's nine-month year. A dozen nurseries, seven restaurants, and virtually continuous entertainment make the market a great day's destination. It's open from 10 a.m. to 3 p.m. Thursdays through Sunday through October, and weekends in November and December. 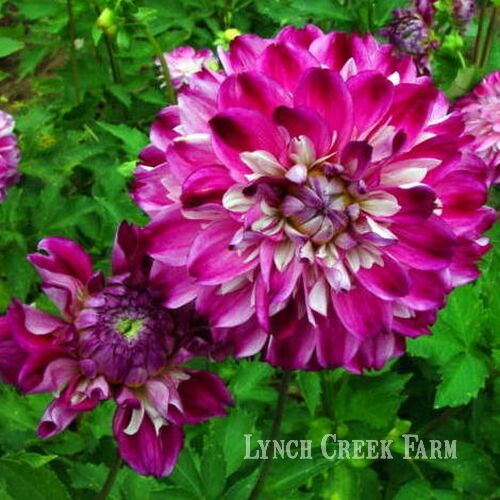 And of course the high point of the market—how can we feel otherwise?—is the Lynch Creek Farm dahlia booth, brilliant with photos of the fabulous dahlia flowers and filled with dahlia tubers just waiting to go home and get planted. 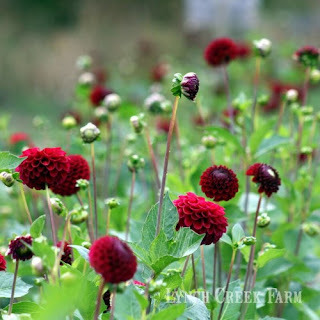 Dahlia tubers (some folks call them dahlia bulbs, but scientifically speaking, dahlias are tubers) carry the promise of a long, luscious blooming season from August until the first frost. 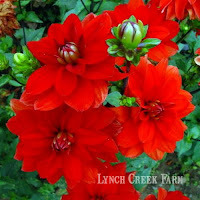 Dahlias are easy to grow, mix well with other plants for colorful borders, and make excellent cut flowers. Want a preview? 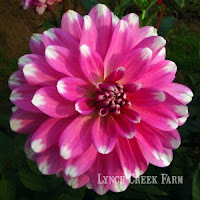 Go to the Lynch Creek Dahlias web site and scout around the catalog of dahlias for the flowers you'd like most to try. You can order online, of course. But if you're anywhere in the South Puget Sound area, take yourself down to the bright and bustling Olympia Farmers Market. 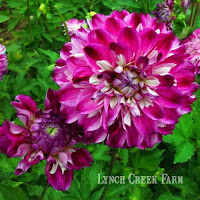 Lynch Creek Dahlias can be found next to the south wall, just about in the middle of the market. 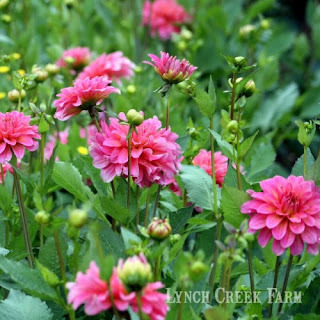 The Lynch Creek gang will welcome you, selling tubers for spring planting through the last weekend in May. They'll be back again with dahlia flowers and some accompanying favorite blooms in August, and they'll be there until frost, when their attention will turn to wreaths and beautiful holiday decorations.